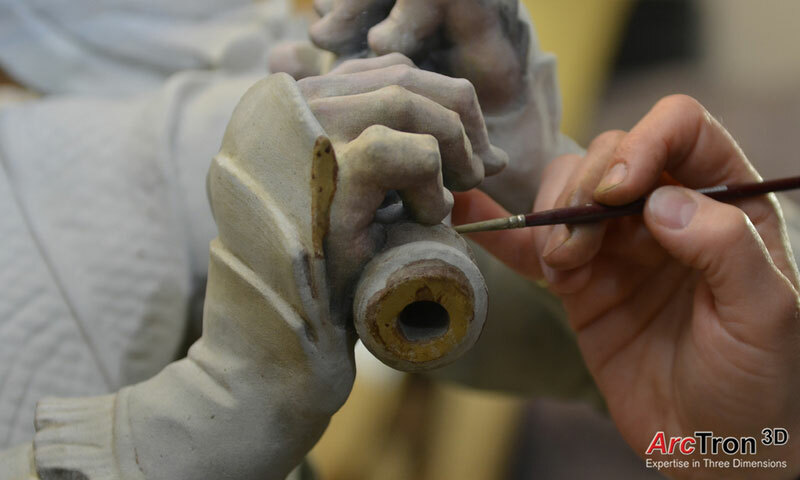 The aim of this “high-tech” project, commissioned by the Badisches Landesmuseum Karlsruhe, was to produce a high-quality replica of a wooden rococo Feuchtmayer sculpture from the Salem Monastery Museum. 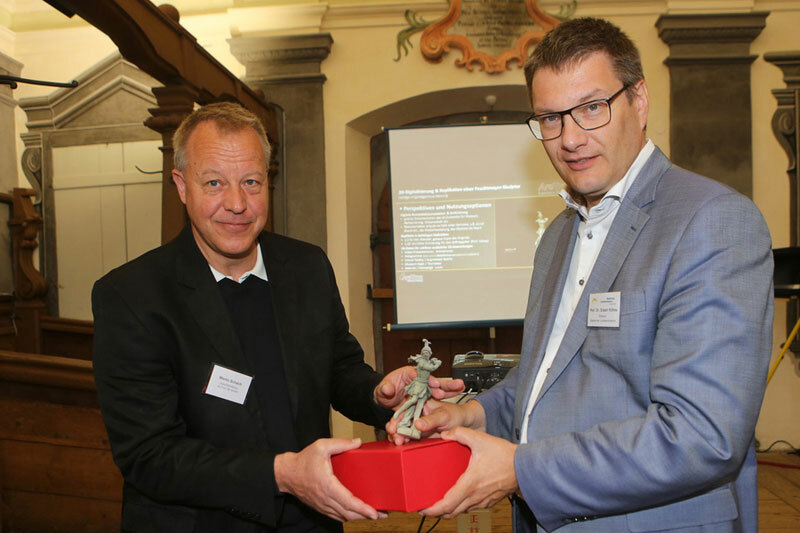 The internationally renowned company ArcTron 3D from Regensburg who specializes in 3D documentation of archaeological, architectural and art heritage conservation objects, was asked to carry out this demanding project. The hyper-accurate three-dimensional survey of the sculpture was the basis for reproducing the copy true to original in actual size. 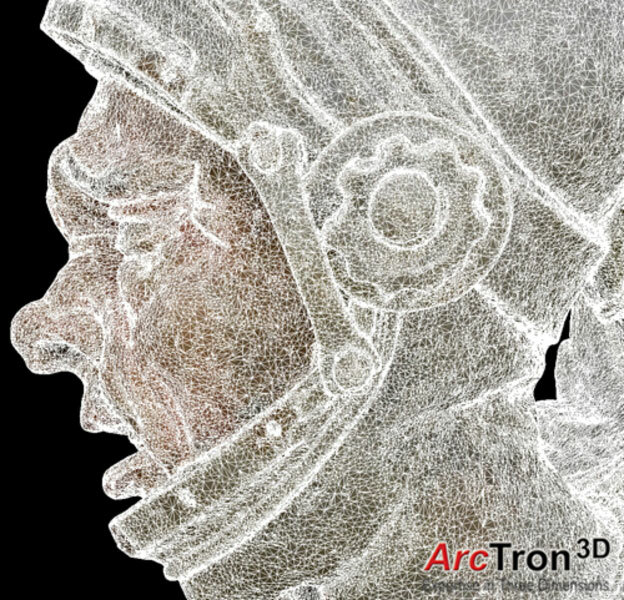 ArcTron’s surveying specialists documented the entire sculpture with its complex geometries in 3D using a light projection scanner and a professional, very high-resolution DSLR camera. Special LED illumination was used to record radiometric information of the object. After that a dynamic three-dimensional data processing workflow was carried out. This step has been continuously developed by the company for many years. The result is a true to original, photo realistic 3D model. 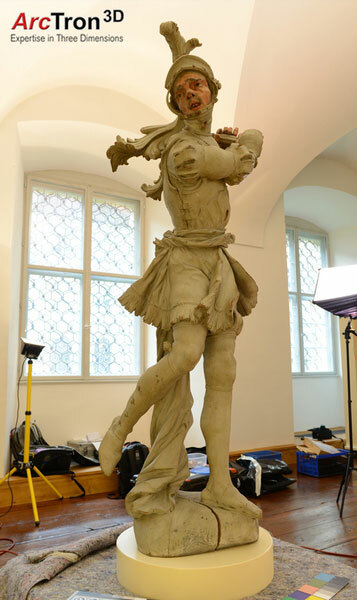 That way the nearly life-size statue has been digitized in extremely high resolution and in true colour for the first time. 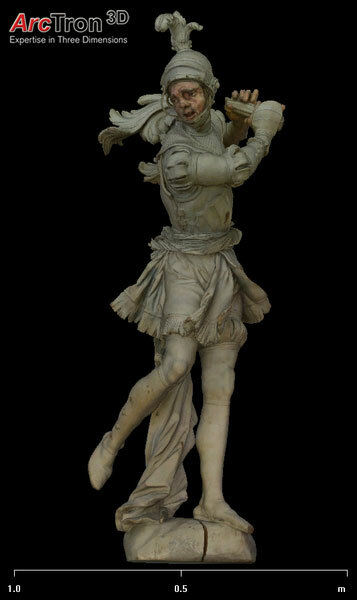 This digital 3D model can be used by researchers, restorers and for many other applications e.g as educational content for museum visitors. 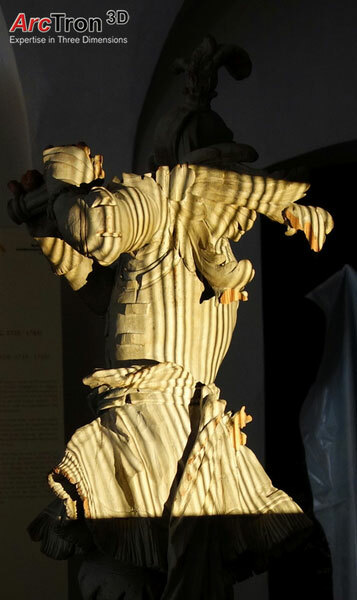 The real challenge of this project was to produce the replication of this statue with latest 3D printing technologies. 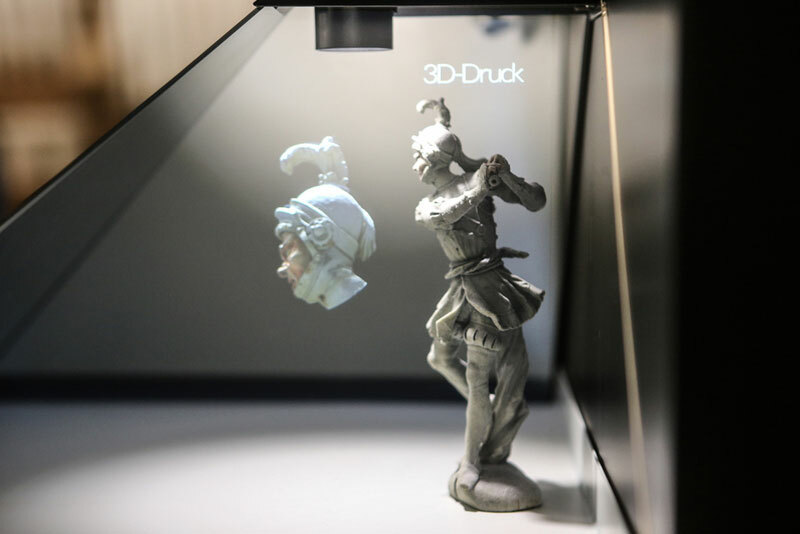 ArcTron uses high-definition 3D printers for such a job. This system uses plaster base powder which constructs layers in 1/10th of a millimeter and in color. 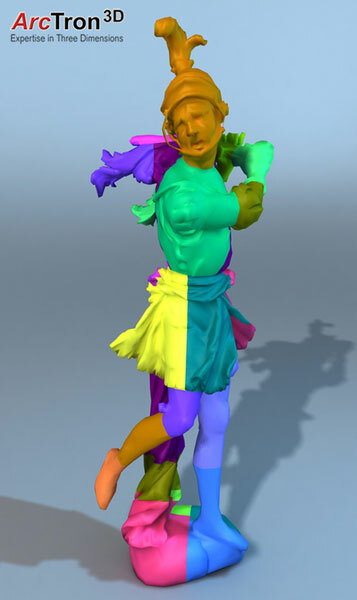 The statue has first been digitally divided in 26 individual parts. These parts were then printed with the 3D printer and assembled in ArcTron’s modeling department. Even though the 3D print provided a precise colour template, a revision of the details was necessary. 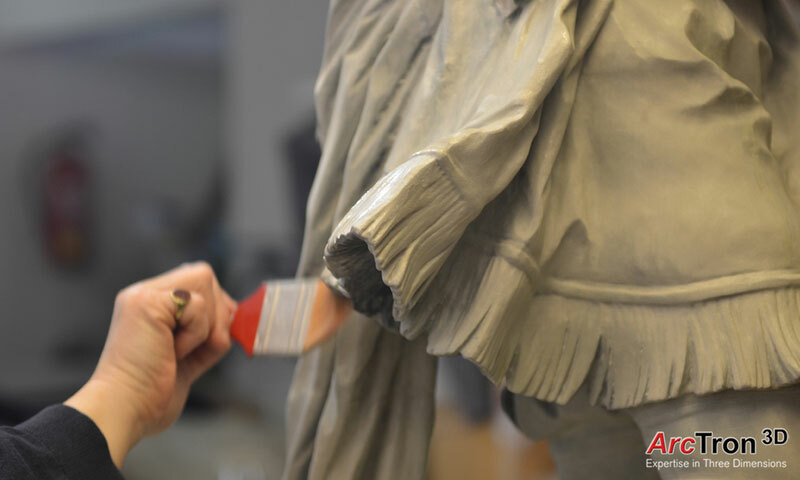 Therefore in a final step a professional church painter with restoration experience reworked the surface of the statue with the paint brush. 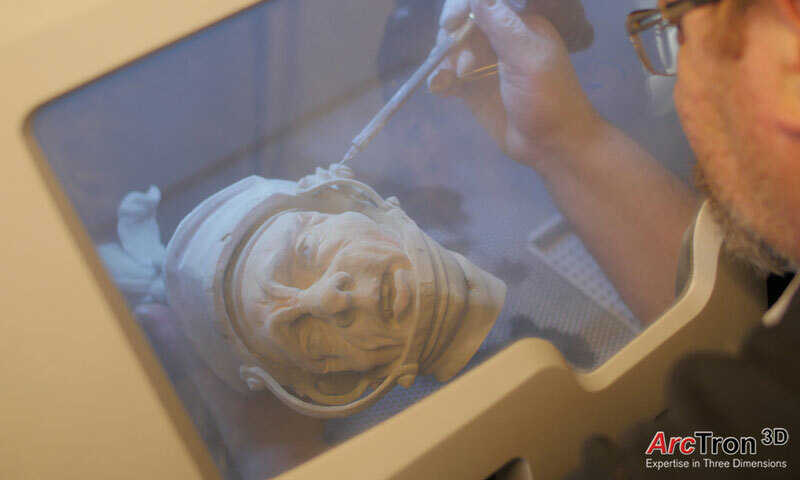 The result of this multi-stage project is the accurate 1:1 copy of the Feuchtmayer sculpture. “Joseph Anton Feuchtmayer (1696 – 1770) was an important plasterer and sculptor, altar builder and engraver of the southern German Baroque and Rococo. He worked mainly in the area around Lake Constance in Germany and in Switzerland. For the Salem Marstall – the glorious horse stable which was used for representation purposes – Feuchtmayer had created a cycle of unique sculptures. For conservation reasons, the so-called “Salem Stifter” sculpture could no longer stay in its original location. It was moved to the Badische Landesmuseum and is now in central position of the exhibition “Masterpieces of Imperial Abbey ” in the Abbey and Palace of Salem. 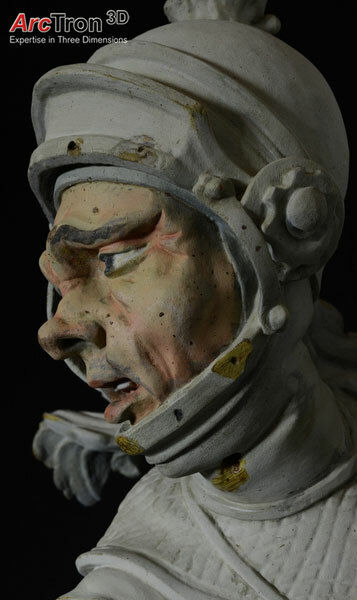 For more information please visit Badisches Landesmuseum Karlsruhe.